A surplus of growth coupled with a shrinking office footprint ultimately drove WOW Logistics to construct a new facility for its Appleton, WI-based corporate headquarters. 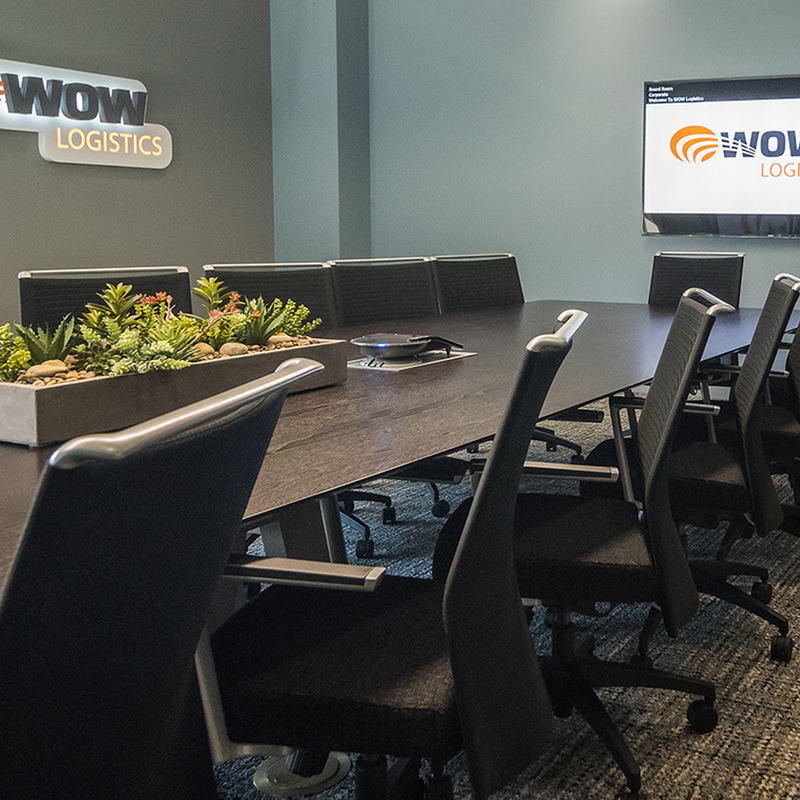 As a nationally recognized leader in the third-party logistics industry, WOW sought to create an innovative space that would better serve in the attraction and retention of talent and cater to the demands of a multi generational workforce. In collaboration with Concept Designs, Corporate Design Interiors provided furniture and finish solutions for a multipurpose mixture of collaboration rooms, large common areas to accommodate group projects and ergonomic office features to support employee health and wellness. The result was a fresh and inviting space offering employee autonomy and room for further growth. WOW Logistics’ new state-of-the-art facility was designed with their employees in mind. An assortment of bright whites, cool neutrals and playful bursts of branded orange and green were incorporated throughout the building to create an equally timeless and invigorating space. In order to accommodate multiple departments with a variety of needs, meeting rooms and private offices with conferencing areas were outfitted with a mixture of seated and standing height tables to allow for employees and guests to work as they choose. Offering a diverse selection of workstations, collaboration rooms and lounge areas with integrated technology encourages movement throughout office, stimulating creativity and a sense of comfort that can lead to increased productivity. Expansive windows across the entire building allow for natural light to pour through and saturate WOW’s open office plan. A large outdoor patio with technology access allows for employees to work, lounge and get a breath of fresh air. Looking to work with us? Come and visit our showroom to experience the depth of what CDI has to offer. Learn first-hand how we combine aesthetics, innovation, creativity, functionality, versatility and nature into the space that perfectly suits your needs and helps your employees create their best work. For more examples of our project work, visit our website and take a look.